The one thing known is that her time spent in a world full of insanity left her a broken adult. However, her courageous will to survive is what ultimately saved humanity. 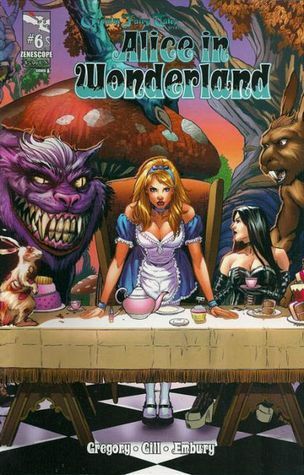 Now the story of Alice's visit into Wonderland is fully revealed and the truth of the terror will be told in full From Raven Gregory, Ralph Tedesco, and Joe Brusha, the minds behind Grimm Fairy Tales and Return To Wonderland, comes the series that Zenescope fans have been waiting for Follow Zenescope back down the rabbit hole and discover a world of madness like you've never seen before. I knew the moment I saw the Alice and Wonderland comic that I had to dive right in. A dark twisted spin on the classic story. Alice is stuck in wonderland on the run from some of my favorite characters. Will she survive and escape wonderland or end up stuck with the jabberwocky forever? I love the artwork in each book it's detailed, with detailed work on each page. I love that they are in color it just inspires my imagination more. I really enjoyed the unique take on Alice in wonderland it just works so well. The author has taken an old story added some a new exciting spin and created a beautiful piece of artwork. 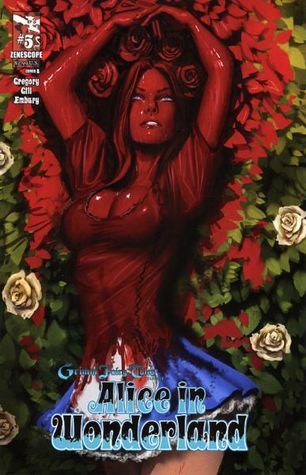 This is one of those comics I ended up reading the whole series one after another all in one sitting. I had to know how it would play out with Alice. 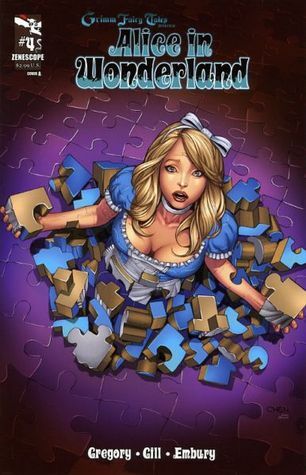 I highly recommend checking it out if you are fans of Alice in Wonderland.